Drove today from just north of Baltimore to Lexington, with an extended, simultaneously frustrating and gratifying pit stop at Charles Town. 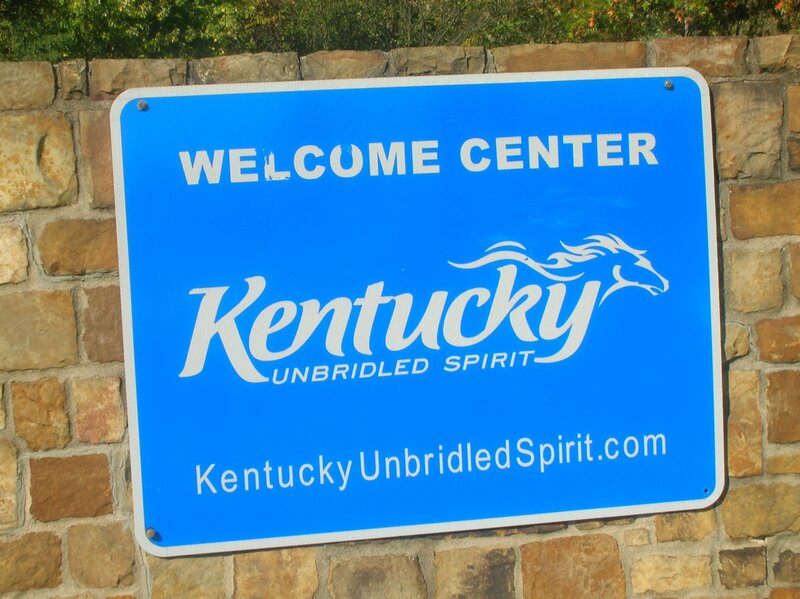 More on that upcoming…I learned, though, that being the guest of a trainer does not guarantee access to the barn area. Who knew? I heard similar sentiments echoed this morning on Charles Town’s backside. Not far from the West Virginia border, my radio caught the opening bars of Charlie Daniels’s “The Devil Went Down to Georgia,” a song on the soundtrack of far too many of my teenage nights, and that I likely haven’t heard since then. Without a scintilla of effort, my brain retrieved, perfectly, every lyric; what vital information, I wonder, has my memory surrendered so that I could sing along, at the top of my lungs, through the Allegheny Mountains? 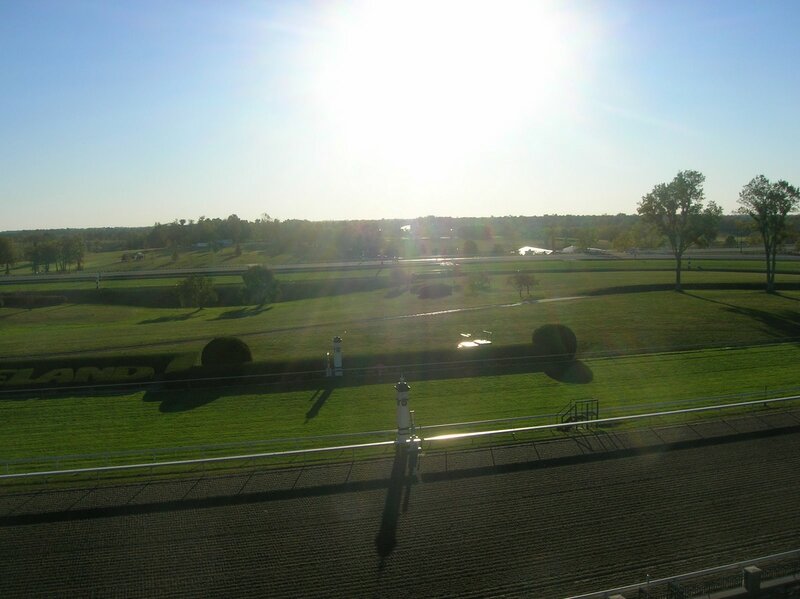 On the agenda for Friday: breeding farms and racing. Yippee! Don’t laugh, I can remember lyrics to songs from the Partridge Family. But don’t ask what I had for breakfast today ;)You are a lucky girl. Tell the horsies Hi from me! 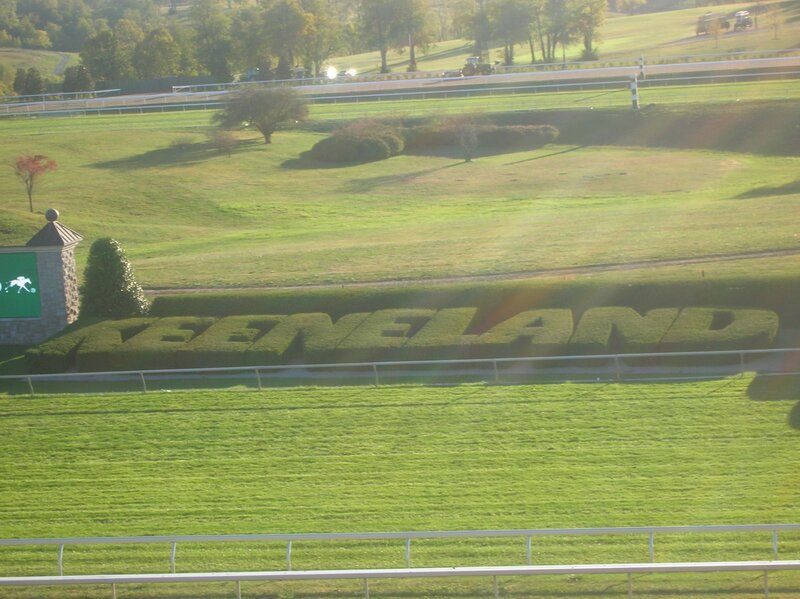 Loved my first weekend at Keeneland last Spring. I’m insanely jealous but looking forward to living it through your posts.